If you are interested in being notified when the next Unitive Justice workshop is scheduled, please let me know by completing the Contact form. · Community strength and self-empowerment. · Consensual participation and equality/inclusiveness. · Values, such as trust, honesty, discernment and lovingkindness. · Achieving mutually beneficial outcomes. 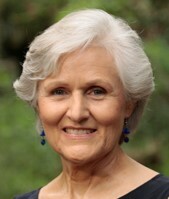 Sylvia was a trial attorney for 28 years; she is trained in collaborative law, mediation, and several models of restorative justice and now teaches restorative justice at the university level. She holds master degrees in public administration from the Univ. of Cal./Berkeley and the Harvard Kennedy School of Government and her JD is from Boston University School of Law. By comparing 13 structures of our established punitive justice system with 13 structural elements of unitive justice, we escape our mistaken belief that punitive justice is the best we can do. This workshop teaches how to access the tools for creating justice as love. Participants receive a Trainer's Manual (pdf) of Important Things to Remember about each of the 13 Arcs.